Bishop Michael Burbidge was installed as the bishop of the Arlington Diocese in December of 2016. 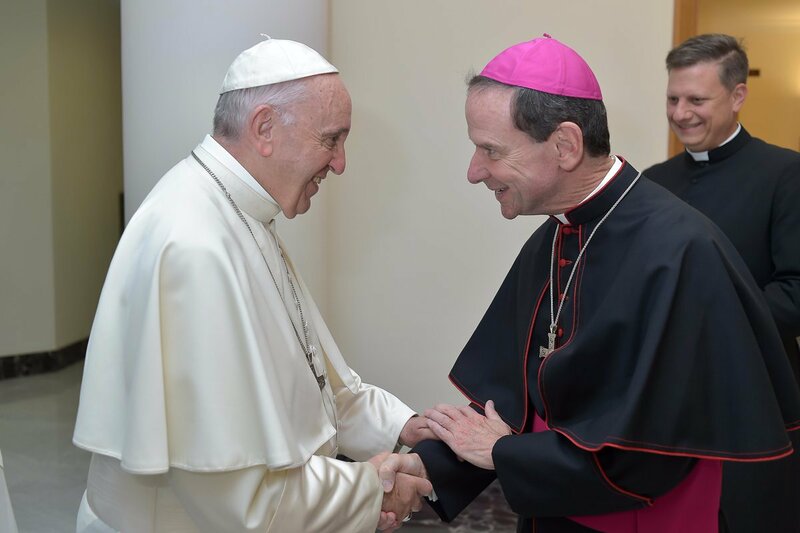 Although the leader of the diocese for less than two years, Bishop Burbidge has brought energy and passion to the parishes, churches and schools under his care. Bishop Michael Burbidge shakes hands with Pope Francis in September 2017. The bishop, who came to Arlington after serving as the Bishop of the Diocese of Raleigh, North Carolina, was ordained to the priesthood in 1984. As a priest first, and now as bishop, he has made an impact by encouraging a more fervent faith, including, and perhaps most especially, inspiring young people. After time in prayer, he felt that he was called to the priesthood and entered Pennsylvania’s Saint Charles Borromeo Seminary. Bishop Burbidge then went to graduate school for advanced degrees in education. 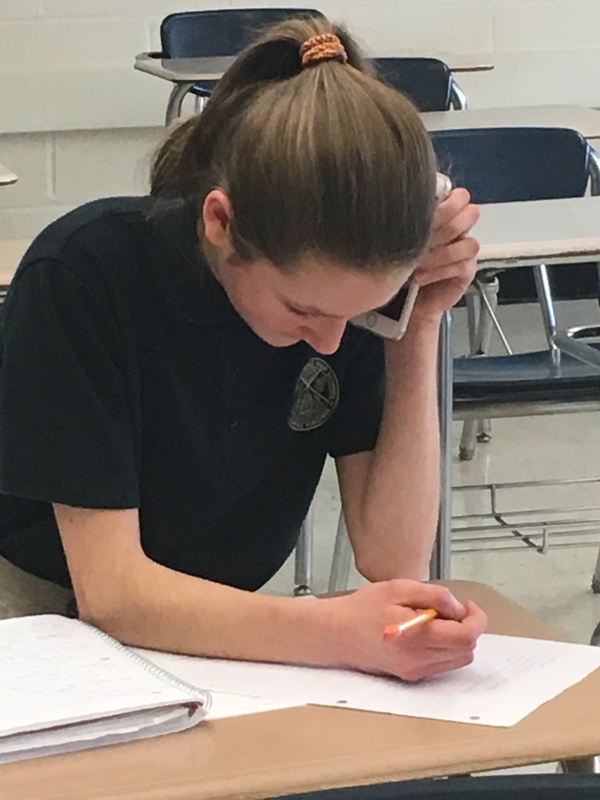 Panther Press reporter Ava Burkhat interviews Bishop Michael Burbidge by phone. The bishop offered some ideas for how best young people can live their faith, and prepare for whatever future vocation God has planned for them. Young people should engage in daily prayer and take part in school activities and service projects. He also encouraged young people to become involved in their parishes by altar serving, being a greeter at mass, serving as a lector, and attending youth group. Bishop Burbidge recalled being a part of his parish’s Catholic Youth Organization and his own community service as a young man, such as visiting the elderly and teaching the underprivileged. Youth may face challenges to their faith in their daily lives. To this, Bishop Burbidge recommended asking God for strength and grace. He says that the Lord will give them truth, which will then give them freedom.